The road south of Quanzhou, towards the town of Anhai, passes through what must be some of the most depressing and ugly scenery in China. For about 30 kilometres, the road runs through a series of towns the outskirts of which all merge into one dirty and chaotic urban sprawl, leaving the despondent traveler to wonder what on earth has brought him there. Most of the buildings look as if they were put up in half a day, many are unfinished, bits of cables and wires sticking out, but in full use. This is not a poor area of China; it’s just an example of the complete absence of urban planning. It is difficult to know when or where to get off the bus in Anhai, as there seems to be no apparent centre. In spite of the huge billboards advertising the bridge as a Number One Heritage Site, the driver of our clapped-out motor-cycle rickshaw was not quite sure where we wanted to go and initially tried to take us to a hotel. However, we soon put him right and after a five-minute ride arrived at our destination. 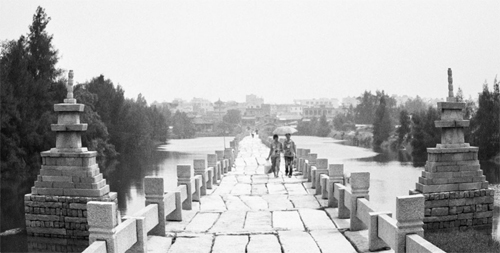 Built more than 800 years ago (1138-1151), Anping bridge stands out from the urban mess that surrounds it, a haven of peace, far from the thunder of lorries and the honking of horns. 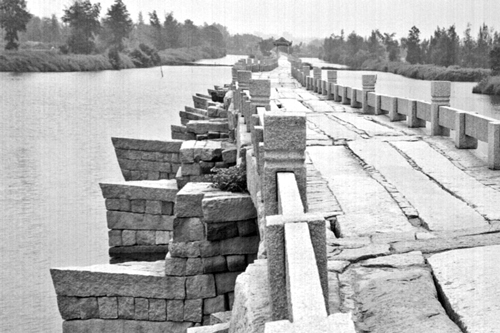 The bridge crosses a two-kilometre stretch of sea and is made entirely of stone. 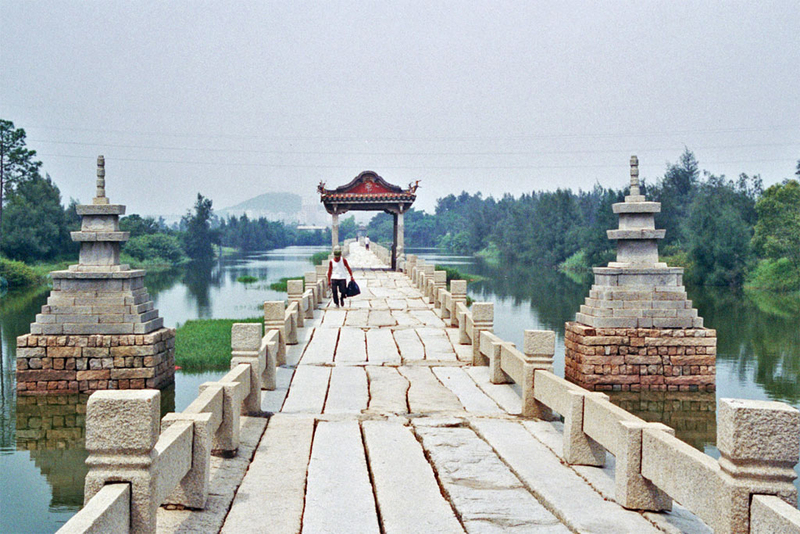 A few pavilions and a small temple built along the bridge add to its feeling of timelessness and tranquility. Walking the full length of the bridge and admiring its immaculate ancient stones, is a strangely moving experience that takes about an hour. 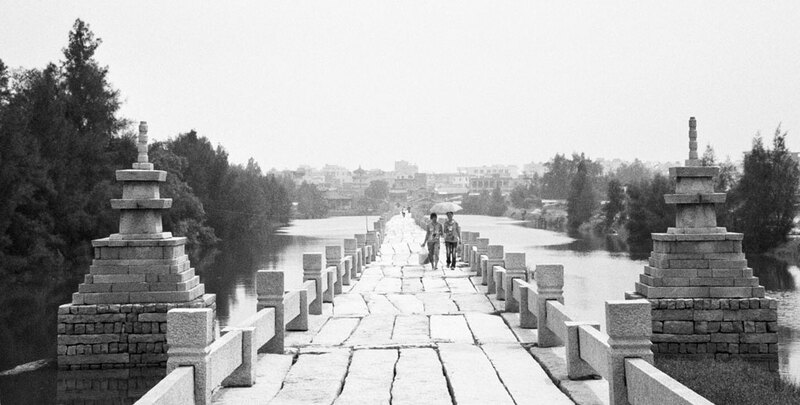 On the way you will meet many local people who use the bridge and its temples to have a rest and a chat. See below for more text, large photos and Practicalities. 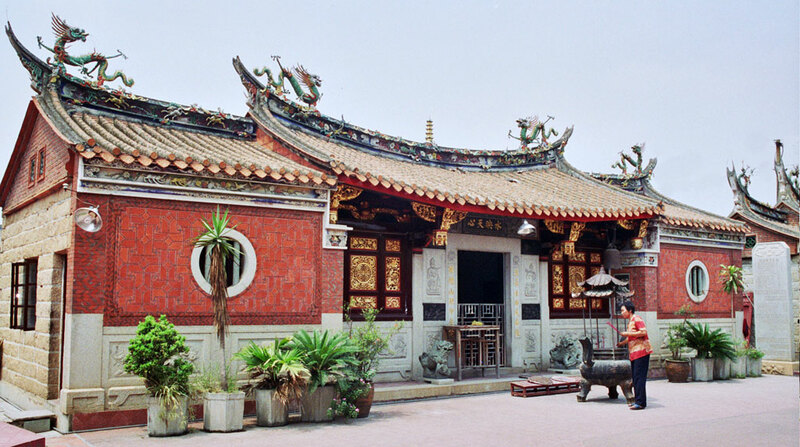 On the Anhai-centre-side of the bridge, there is another, larger temple, of the exuberant and colourful Fukianese style, very well-kept and much visited. A pair of weathered ancient sculptures guard the entrance, while many locals can be seen making offerings inside. Take a bus from Quanzhou’s bus satation. They seemed to leave every half hour. 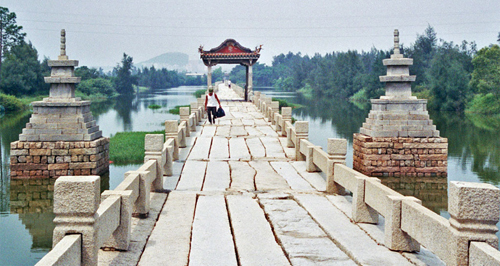 Quanzhou is not an expensive city to visit. Good hotels can be found in the centre for around 150 yuan (15 Euros), for a standard double with breakfast included. We stayed at the City Holiday Hotel, a typical three-star business hotel for 164 yuan for a standard double (Tel – 0595 – 22989999). It was pretty good value with spotless rooms, friendly service and a reasonable breakfast. As for eating, you can find some of the best and most reasonably priced seafood in the whole of China on Meishijie, (Delicious Food Street). Apart from the prices, what makes Meishijie such a great place to eat is that there are restaurants specialising in all the regional styles of Chinese food, but with the added benefit of using some of the freshest fish and seafood you will find in China.